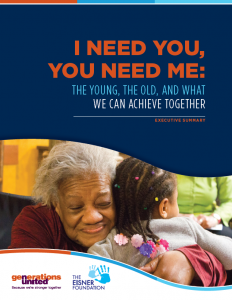 I Need You, You Need Me: The Young, the Old, and What We Can Achieve Together is a report from Generations United and The Eisner Foundation that highlights national examples of pioneers reuniting the generations and making their communities better places to live. I Need You, You Need Me includes a new public opinion survey on how Americans of all ages feel about the young and the old uniting. 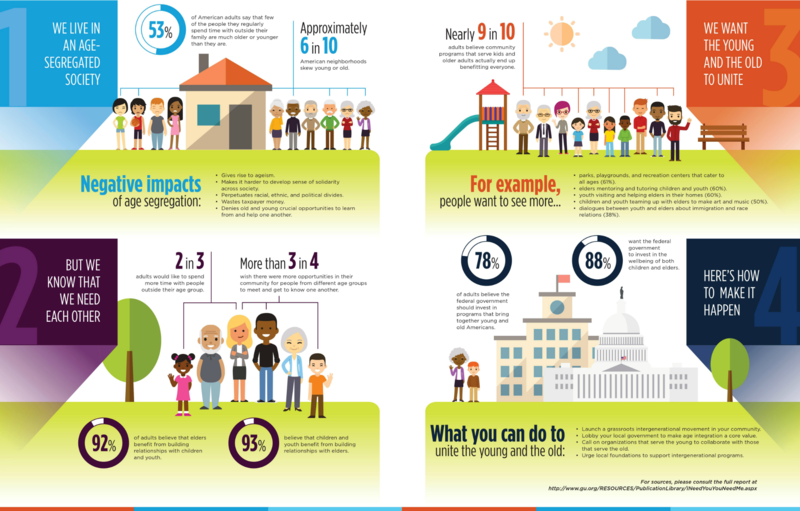 Taking inspiration from the survey findings and featured organizations, the report highlights inventive, intergenerational solutions and actionable ways to harness the benefits of connecting generations.